The original version of this article first appeared on GE Reports Australia. Papua New Guinea’s infant mortality and maternal mortality rates are among the highest in the world. Enga Province is Papua New Guinea’s most elevated province. For the estimated 300,000 to 400,000 people living there, those lush, soaring highlands and deep, water-swept valleys mean that getting to small towns from outlying villages can be a major logistical exercise. Although high-altitude living suits the Engans just fine—few outsiders travel to this rugged Shangri-La in the north west of the country—the terrain means that many essential services, such as clinics equipped to provide modern maternal health care, remain a bridge (or no bridge) too far. With the majority of PNG’s population living outside its towns, each province faces similar challenges. One consequence: PNG’s maternal and infant mortality rate is the highest in the region, and one of the highest in the world. 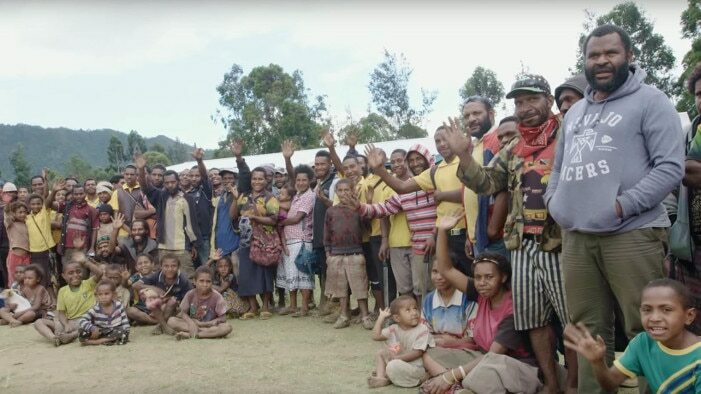 Portable ultrasound is changing that in Enga Province, thanks to a forward-thinking governor and the PNG Tribal Foundation. Through a partnership between the PNG Tribal Foundation, Premier Healthcare and GE Healthcare, ten Vscan dual-probe pocket ultrasound units have been provided to health clinics in Enga province. American husband-and-wife physicians Dr Mark Hauswald and Dr Nancy Kerr traveled to the clinics, working with PNG’s Dr Solomon Kalit and health administrator Jacky Potane to show resident medical staff how to use the handheld ultrasound units. The inspiring story of the Vscans’ arrival at the clinics in Enga Province is told in this video. The idea is to get ultrasound technology out to the people, even those who can’t or won’t visit one of the rural clinics in the province. Vscan handheld units can be recharged in vehicles on medical excursions away from the clinics, and solar charging is also just over the horizon. 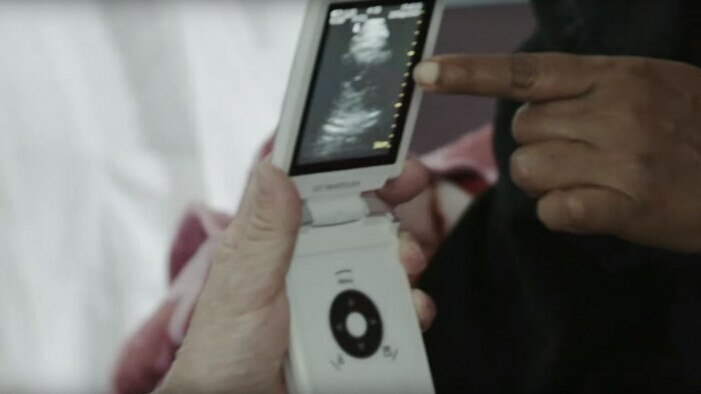 The Vscan ultrasounds are small but their ability to bring change—and save lives—is powerful.